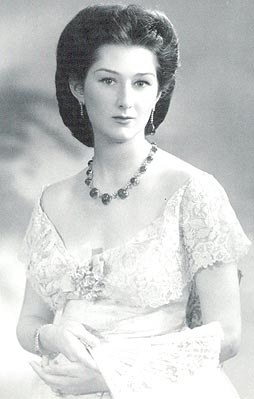 Born in Istanbul's elegant district of Nishantashi, HIH Princess Neslishah died peacefully last April in her Bosphorus-side villa in nearby Ortakoy. During the interim 91 years republican Turkey had reconciled with its Ottoman past so that the passing of the last surviving member of the Imperial dynasty born before its demise did not go unnoticed. Quite the contrary, the departed sultana received glowing tributes from the nation's president, its head of government, its parliament and more importantly, her countrymen. Many regarded Neslishah a potent symbol of both the temporal and the divine. 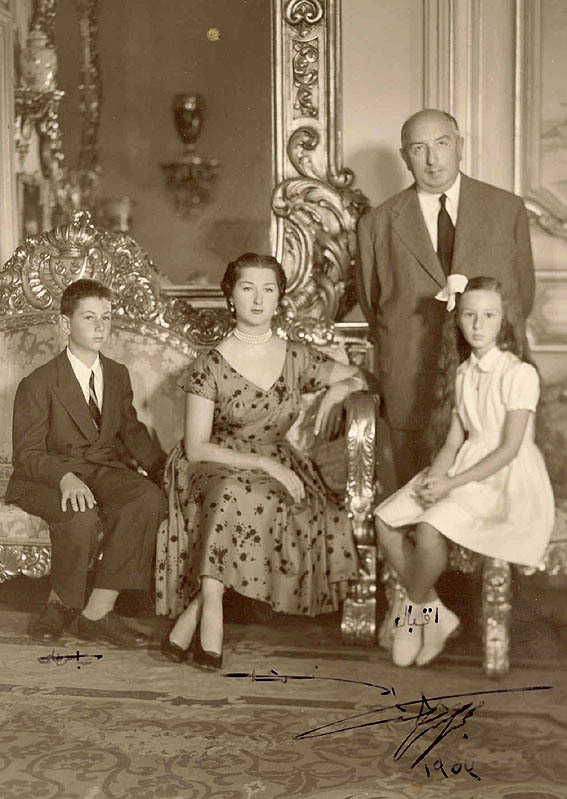 If her maternal grandfather was Sultan Wahidedine, the 36th and last Ottoman emperor, her paternal grandfather HIH Abdel Mejid was the ultimate Caliph of the vast Islamic nation. In a Turkey currently witnessing an Ottoman revival Neslishah Sultan was considered the acknowledged descendant of a 600 year old dynasty that once controlled the Mediterranean, half of Europe, the entire Near East and beyond. She was of the same bloodline as Sultan Mohammed al-Fatih and Suleiman the Magnificent, implied Prime Minister Erdogan while giving a speech to a parliamentary gathering in Ankara the day she died. 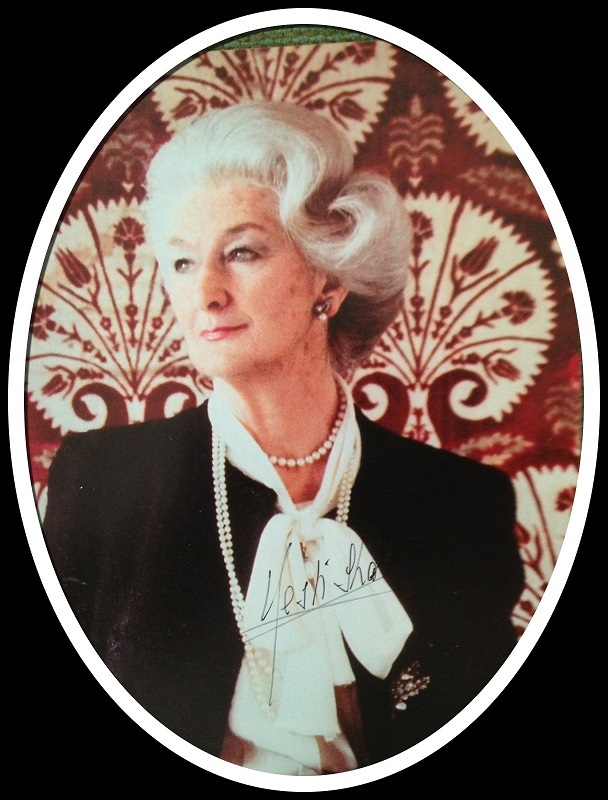 On the other hand in an Egypt undergoing another turbulent period in its modern history, only some remaining octogenarians remember al-Amira Naslishah, the nation's glamorous First Lady of 1952-3. Hardly anyone recalls when in the 1940s Neslishah's photos were front page in Egyptian and foreign magazines rightly describing her as one of the most beautiful women in the world. Together with her two younger sisters, both married to Egyptian princes, they formed a glamorous trio turning heads whenever they appeared at charity events or fund-raising balls. 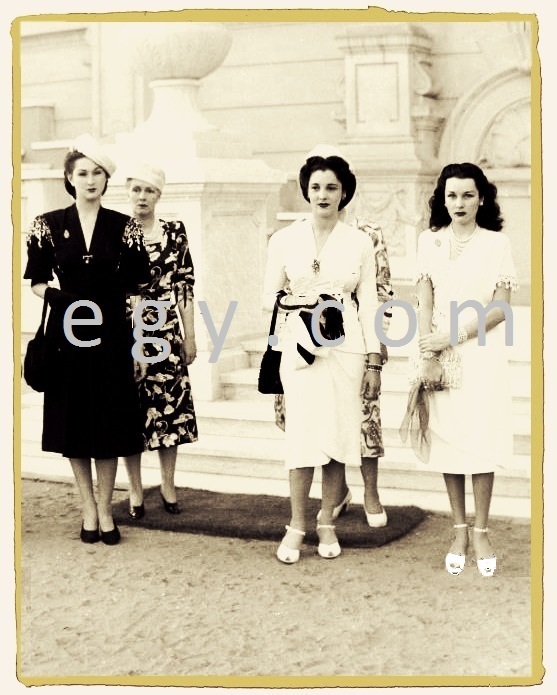 Princess Neslishah married in 1941 Prince Abdel Moneim Abbas Hilmi the son of Egypt's last khedive. But since history is often arbitrary, Prince Abdel Moneim, rather than assuming the throne legitimately, found himself third in line of succession to Egypt's throne in view of his father's forced exile in December 1914. 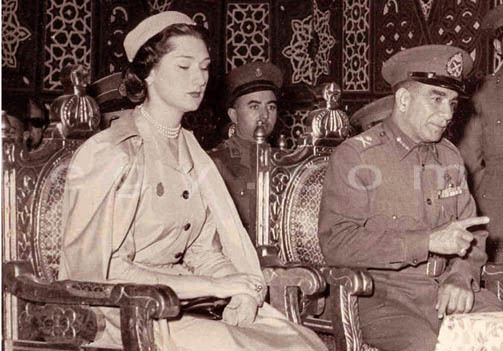 Another comparable exile would however thrust the prince at the forefront of political events when he was unexpectedly appointed head of the constitutional regency council following the abdication of King Farouk on 23 July 1952. For the next nine months Regent Abdel Moneim and his imperial-born consort were the official symbols of the monarchy's last days. But even before the launch of the regency Princess Abdel Moneim's working schedule went beyond ribbon-cutting ceremonies and command performances at the Cairo Opera House. There was the demanding volunteer work at the Red Crescent, the Mubarra (state hospitals), the Children's Welfare Association and other such humanitarian societies. The grueling back-to-back functions didn't seem to deter the princess one bit. Raised in rigorous French schools in the south of France and chaperoned as a teenager by a practical German governess, martial discipline was second nature to the eldest daughter of the leading Imperial Ottoman officer-prince. When Egypt was declared a republic in 1953 the Abdel Moneim's were forced into early retirement and social oblivion. It would be a few years before Neslishah made headlines again but this time in an altogether different context. In a poignant twist of events the real test was yet to come evidencing she was not just a beautiful cover-story princess but was indeed made of the same mettle as her conquering ancestors. Many from that period will testify that Princess Neslishah's finest hour was not when she was Egypt's first lady but rather when she stood stoically by her Ottoman cousin Shehzade (Imperial Prince) Mahmud Namuk who was accused by Nasser's regime as an instigator in a royalist coup aimed at toppling al-Rais. The words 'death penalty' for Namuk and his accomplices quickly circulated the corridors of power. All during Prince Namuk's sensationalized 1957 trial screaming headlines made out the princess to be some kind of Lady Macbeth "wanting to place her teenage son on the throne" come what may. It was as though Egypt's new military regime saw a bogeyman in every last remaining ex-royal starting with the ex-regent's family. The end result was that Prince Namuk received an in-absentia 15 year jail sentence and the Abdel Moneims were put under house surveillance, a razor's edge away from facing arrest. Thus yesterday's First Couple became social pariahs. But as expected of a princess with six centuries of imperial breeding behind her Neslishah bravely weathered the storm. With a son studying in London and a young daughter to look after life had to go on as normally as can be under the circumstances. But the flare-up would not pass quietly. 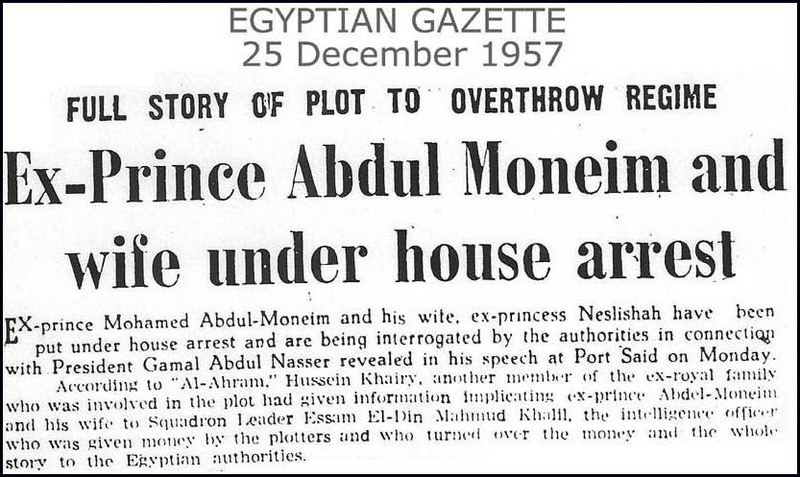 In 1958 Prince Namuk was apprehended in Bagdad and sent to Egypt courtesy of the military junta that had brutally decimated Iraq's Hashemite monarchy. The headlines had a field day and once again the princess was dragged into the tussle. An unflinching Neslishah Sultan soon appeared at Prince Namuk's re-trial answering head-on accusatory questions laid out by Nasser's officer-judges. This time around the Ottoman prince had no recourse. Namuk was re-sentenced and sent to Torah prison. For the princess the choice was probably the most difficult in her life so far. Leave Egypt behind and start all over again somewhere in Europe; or stay behind and stand by her cousin in his hour of need. The first choice was an experience she knew well since her own family had been deported from Turkey back in 1924 when strongman Mustafa Kemal declared the republic. So it was d�j� vu when another strongman attempted to displace her from her adopted realm. Imperial duty won the day. Throughout his jail period Namuk was comforted and propped up by an unrelenting Neslishah. Her aging father Shehzade Omer Faruk having retired in Alexandria, she boldly assumed the role of head of the Imperial Ottoman family in Egypt. 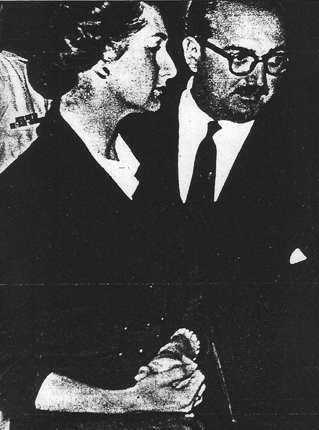 Undeterred by Nasser's merciless mokhabarat (secret service) and facing possible detention she made the rounds of the lawyers' cabinets assembling new evidence countering the state's claim of wrongdoing. Every other week she appeared at the gates of Torah Prison allowed a brief visit with the fallen prince. On 13 November 1961 the dreaded phone call came. Neslisah was requested to take custody of Prince Namuk's body. He had allegedly succumbed to a heart attack in prison. 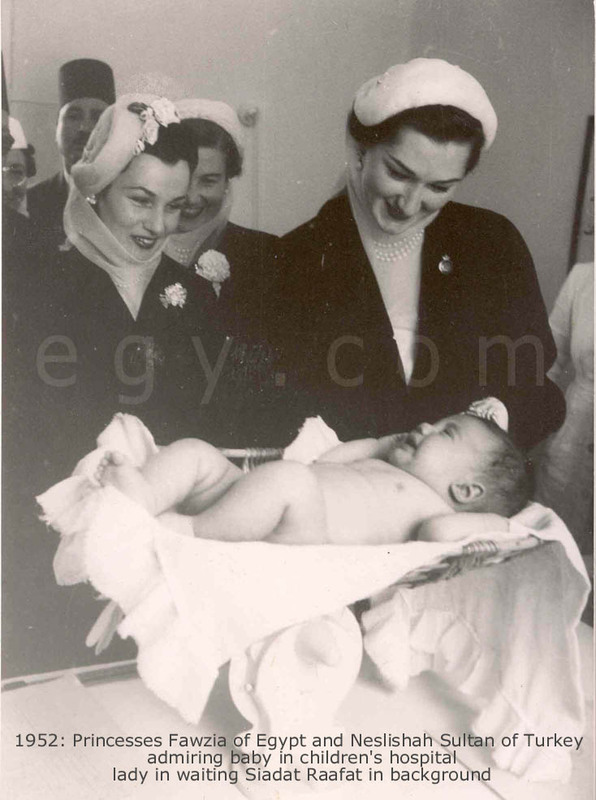 How wretchedly ironic that wrapped in priceless fabrics as a newborn prince in Istanbul's Dolmabahce Palace, fifty years later, in Torah south of Cairo, the body of Prince Namuk was handed over to his next of kin enveloped in a shabby government-issue bedcover. 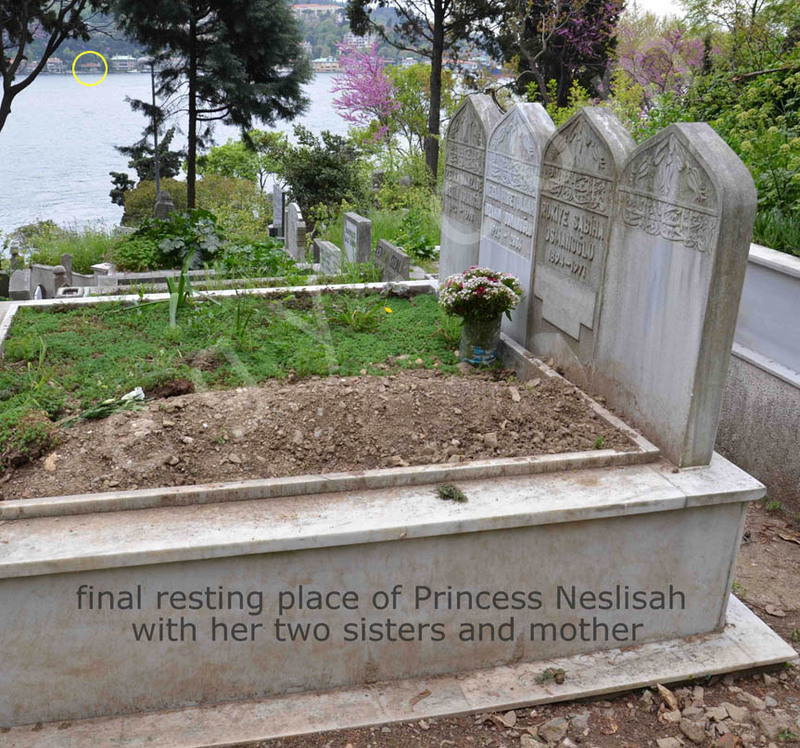 No one came to Namuk's burial save for Princess Neslishah and a few loyal friends. Even her sisters were absent having chosen the path of exile early on. "This was definitely Neslishah Sultan's finest hour!" exclaimed Yehya Aref Bey who was present throughout the ordeal. Both as a close friend of the Imperial Ottoman family and dean of the dwindling Turkish community in Cairo, Aref Bey knew what he was talking about. 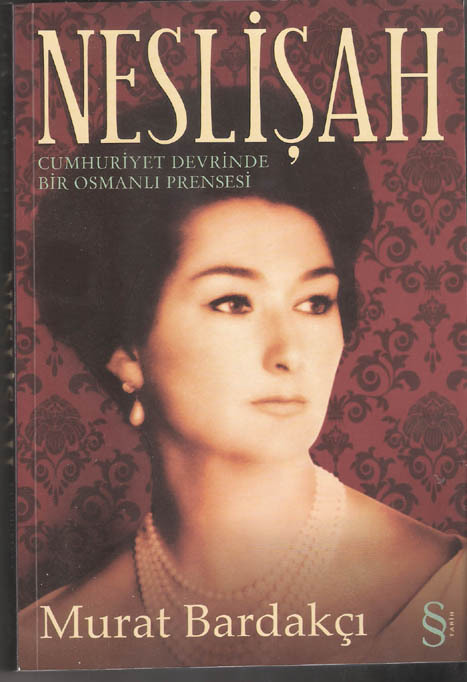 Decades later, in 2010, these extreme days were recounted in "Neslisah", the 400-page bestseller authored by Turkey's leading historian Murat Bardakshi--a befitting tribute to the then 89 year old princess. 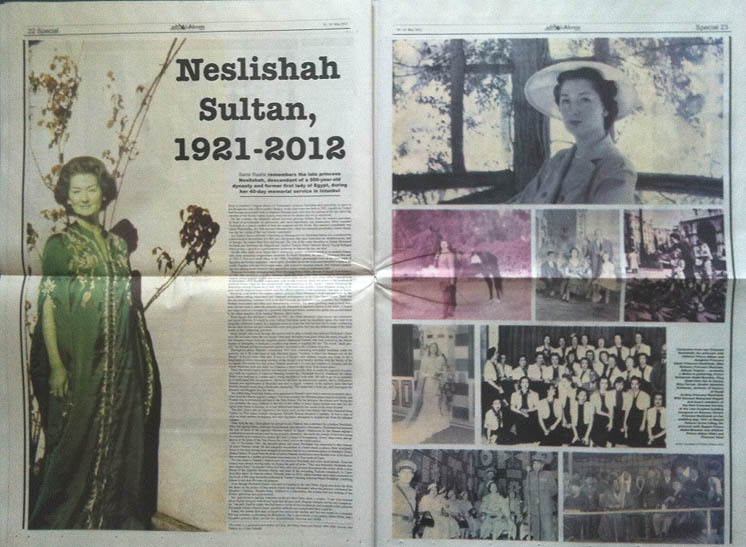 Even though Neslishah Sultan had relocated to Istanbul in the late 1960s, Egypt was never far from her heart as the author of this article found out last December when the princess celebrated her daughter's anniversary. Despite being confined to a wheelchair the sultana had lost nothing of her former splendor and imperial graciousness. Furthermore, her apprehensive parting comment could not have been more a propos. "I am very worried about Egypt and pray with all my heart all goes well. Regime changes can be very complicated." Coming from a lady who was a key victim of two revolutions and multiple exiles, Princess Neslishah Sultan most certainly knew what she was talking about. 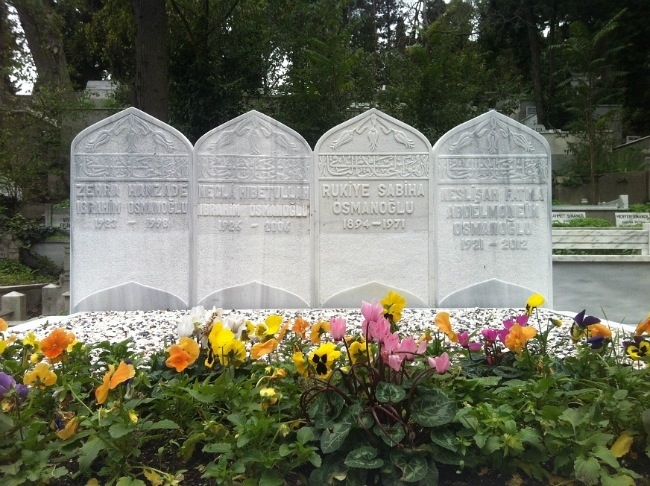 Today, the former first lady of the legendary Nile valley lies next to her mother and two sisters in a romantic hilltop cemetery overlooking that other celebrated waterway--the Bosphorus. 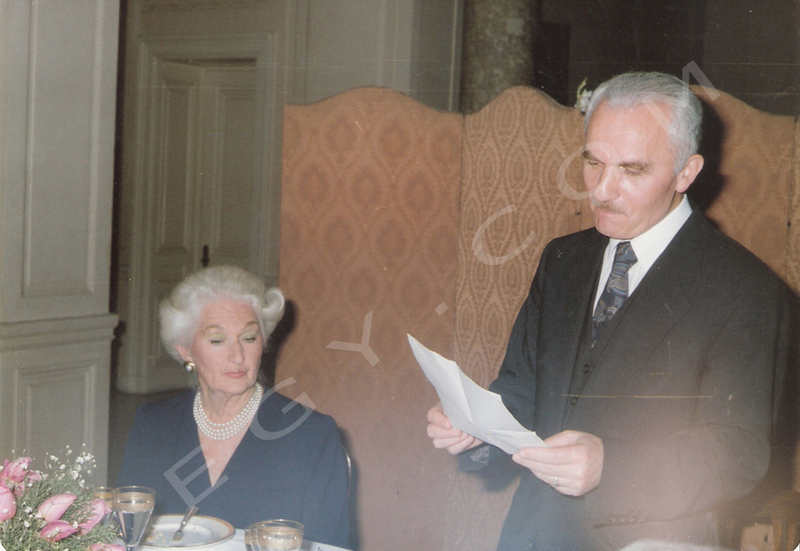 She is survived by a son, Prince Abbas Hilmi and a daughter Princess Ikbal and her two grandchildren, Daoud and Sabiha.